Enjoy this paid pattern as a free gift. 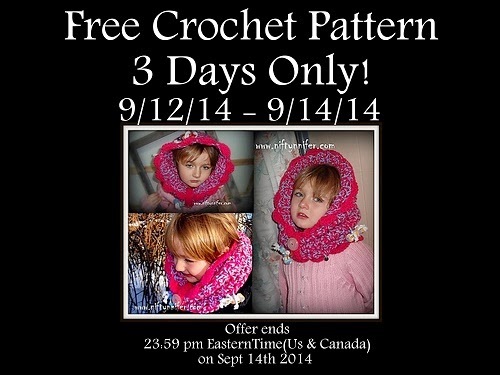 This promotion will last Sept 12th - 14th only, so don't forget to get it free while you can! Pattern is for a child sized Cowl. If substituting yarn, try bulky first.